Xiaomi is all set to launch a new smartphone series in India. The Chinese OEM had recently partnered with Google, to launch the Mi A1 Android One in our Country. We have no real idea what the new series will be, apart from the fact that it will be a selfie series. According to Xiaomi India Chief, Manu Jain, the new phone is the best selfie phone, ever. The hashtag used in the tweet says #YourBestSelfie. The symbol used in the teaser image is a flash symbol. It is very close to the emblem of the DC Comics Superhero, Flash. From this it is obvious, that the new selfie phone will have a selfie camera with front flash. The fact that Xiaomi India did not tweet it from its account, but Redmi India’s account has, suggests that this could be a budget oriented phone. Perhaps it could be a new Redmi series like the existing Redmi Note, say for example Redmi Selfie. We can only speculate for now. 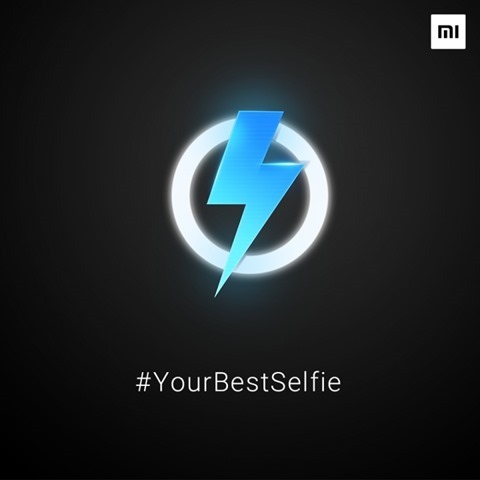 Xiaomi’s new selfie phone series will be launched on November 2nd in India. We’ll be keeping an eye out for news about this, and update you here. Stay tuned to Geekiest for more. Xiaomi has misstepped in India and why it won’t affect Indians, a Geekiest opinion.